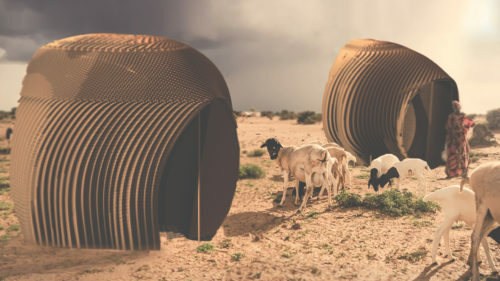 Nomadic pastoralism is the most sustainable mode of existence in arid climates, and current housing solutions only utilize the most basic forms of building technology. 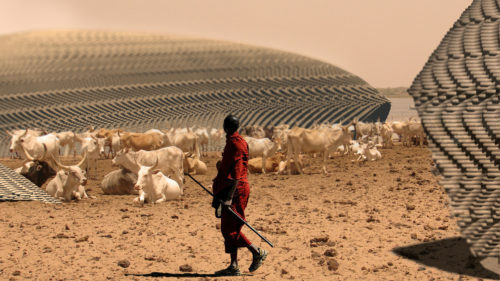 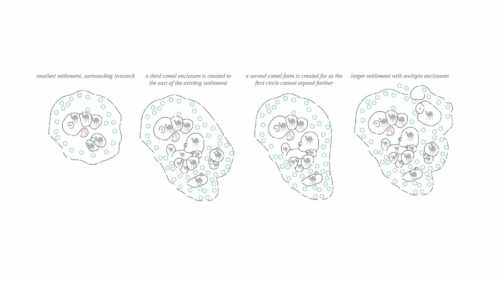 Incipient desertification lends itself to the expansion of this lifestyle, but current housing proposals in west Africa do not accommodate seasonal movement. 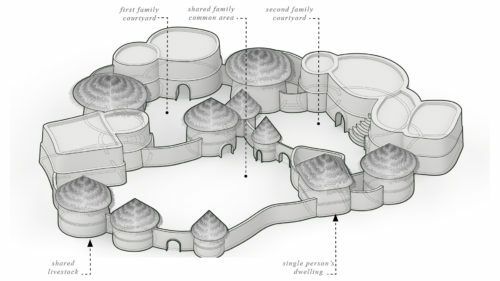 Furthermore, vernacular African architecture provides a democratization of construction which is not considered. 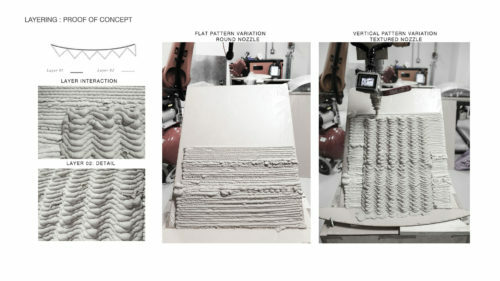 Incorporating additive manufacturing with transportable robots into existing vernacular techniques could catalyze modernization without losing cultural relevance. 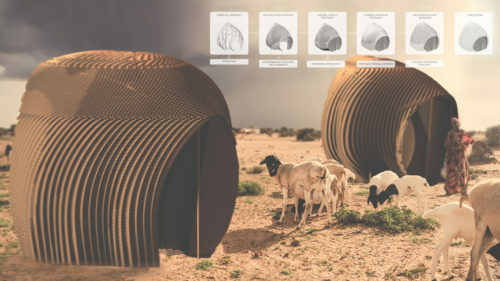 Therefore, the focus of this research is to create a material system which can provide dwellings for nomadic pastoralists in sub-saharan Africa using existing construction techniques and additive manufacturing. 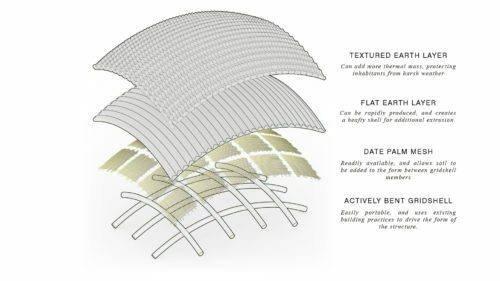 Vernacular precedents are studied, including actively bent armature tents and earthen construction techniques. 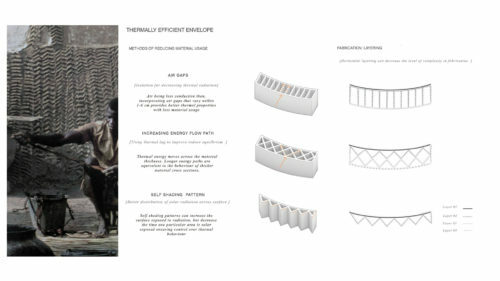 The proposed solution is a wattle and daub system, which combines actively bent wooden rods and extruded earth. 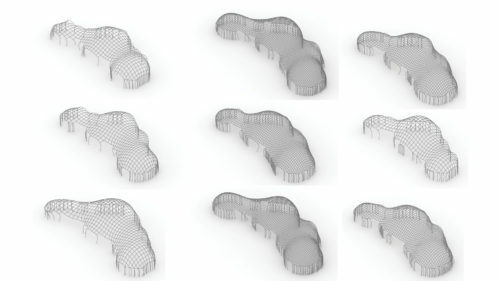 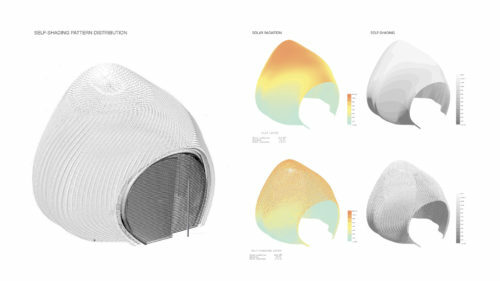 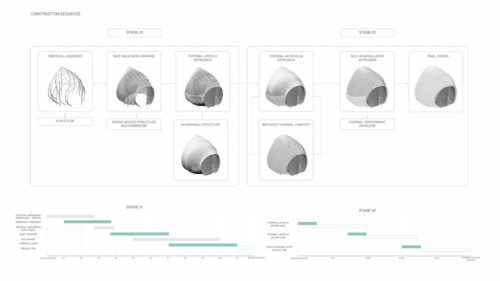 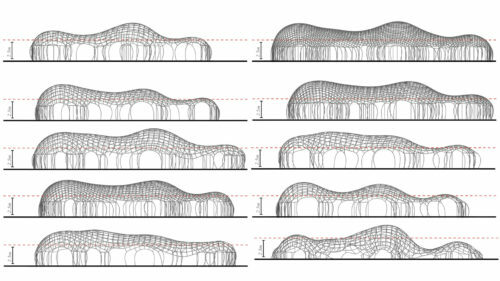 Studies in gridshell systems and their structural performance under compressive loads are conducted, as well as studies in extrusion techniques and the thermal performance of resultant forms. 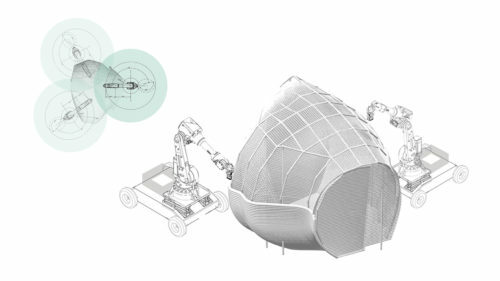 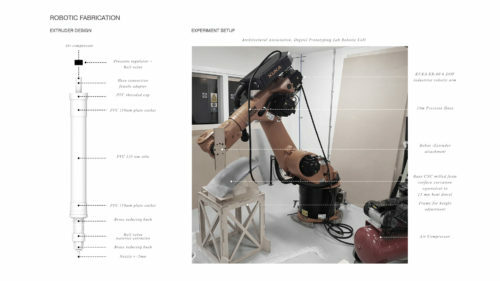 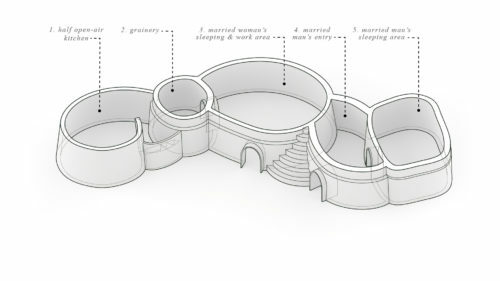 The resulting proposal can be assembled on-site, then disassembled and re-created. 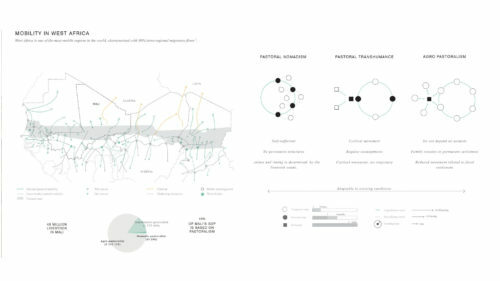 The rods are transported, and the earth is left behind and re-formed with each erection. 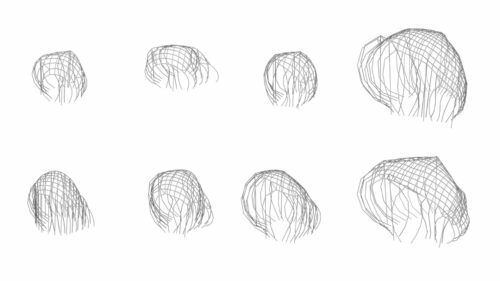 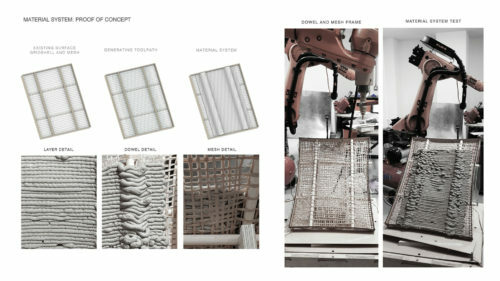 As a result, this material system allows dwellings to maintain ephemerality of form.